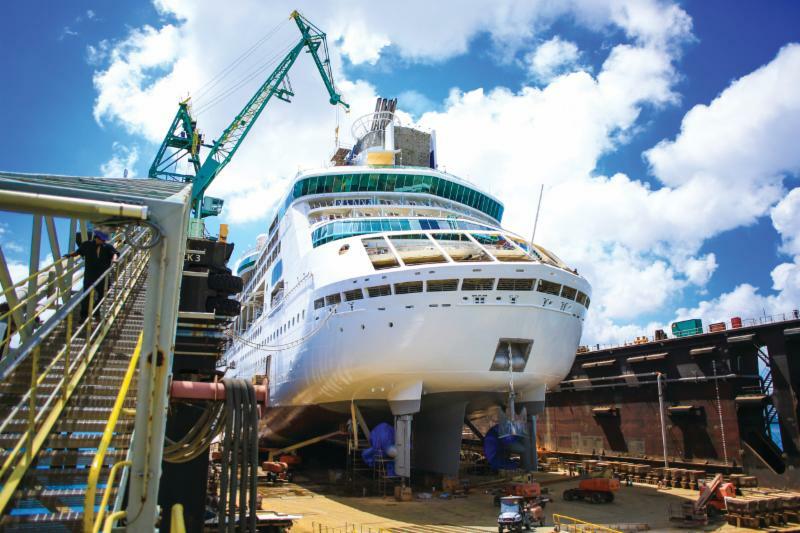 Grand Bahama Shipyard (GBS) has announced plans for a record 29 cruise ship drydocks in 2018, up from 23 cruise vessels that drydocked in 20187. Generally, the scope of work includes significant propulsion and technical systems overhauls, hull treatment, accommodations and public spaces upgrades and the addition of onboard attraction facilities, the yard said. 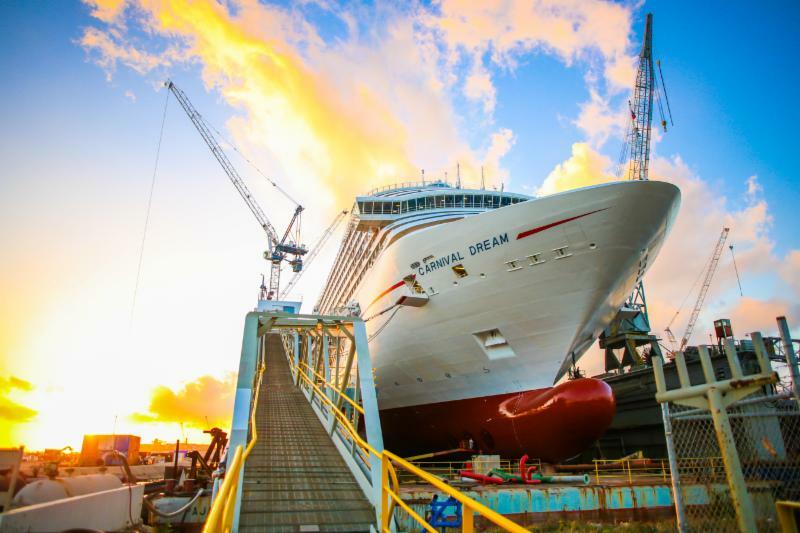 However, the Carnival Elation project completed in last year was a pivotal moment for the yard, according to a statement, as it allowed them to provide the cruise line with a turn-key solution of complex steel fabrications for a major revitalization project. Altogether Carnival Cruise Lines drydocked five vessels within the first half of 2017. Similar on each dry-dock project were full hull blasting and application of silicone coatings; major technical projects including major steel replacement in underwater areas and pipe replacements on multiple systems throughout the vessels. Other major technical projects were the positioning of additional diesel generator modules (ADG) on four vessels and the installation of cyclo-convertor, the latter being a major co-op project with GBS, ABB, and Carnival. Highlights of work planned for 2018 will include a project for Carnival similar to the Elation last year, where a vessel will undergo a “revitalization” within a 30-day period. Royal Caribbean Cruises will have two revitalization projects within 2018, major projects will run concurrently with the GBS turnkey projects of fabricating and installing aluminum deck blocks for the incorporation of suites. On these projects, GBS will also fabricate the major support structures for the new waterparks. The Grandeur of the Sea received a scrubber system last year, as well as, enhancements to aluminum and steel structures of the upper deck, and complete hull blasting and application of silicone coating. The yard also worked on the Caribbean and Pacific Princess, as well as the Celebrity Summit. Norwegian Cruise Line drydocked five ships within the first half of 2017. The Sky drydocked for works that included UTM on pool structures, replacement of galley equipment. The Pearl’s and Jade’s extensive work programs included a full blast and application of silicone hull coatings, the installation of new ballast water treatment system pipelines; the overhaul of thrusters, stabilizers, and azipods. Holland America drydocked four vessels during the late 2017 repair season, the yard said. Other customers included the Disney Fantasy and Oceania and Regent vessels.